Johnny 'proudflop' Proudfoot is current the top ranked player in the UK. Back from the dead. Not literally of course, but it wasn’t that long ago Johnny ‘proudflop’ Proudfoot, the current #1-ranked player in the United Kingdom, found himself on the path to poker mediocrity. The 28-year-old grinder from the city of Durham in the UK describes himself as “quite under the radar” despite having been an online poker fixture for the better part of 10 years. Like many young online players, he first took to the game while in school. Often times meeting his friends in the common rooms to splash around a bit. He means the kinds of “stuff” that leads one to finding their way to online poker. A lower stakes player, Proudfoot remembers his first real foray into the online world. He played a satellite to the PokerStars 2009 World Champions of Online Poker Main Event. He won the satellite, converted the ticket to tournament dollars, played another satellite and won another ticket. This time, he decided to play. No, Proudfoot didn’t end up winning the Main Event – it was Carter ‘ckingusc’ King that took it down that year – but Proudfoot did end up taking home $15,000. Plenty of money to get a bankroll started. “I was probably broke within a week,” said Proudfoot with a laugh. He lost the money but picked up the desire to grind harder. He studied, deposited $50 and began to play six max turbos for, basically, the next three years. At first, Proudfoot was doing well and beating the game. Over the course of time though he saw his earn dwindling as the game evolved. Only after a break to finish up his studies at University, did he think about playing again. “I was going to the gym at the time and I walked by a guy from my old school. He said ‘Oh, you play poker, don’t you? Have you seen ‘tonkaaaa’ on Twitch?’,” Proudfoot recalled. ‘tonkaaaa’ being Parker ‘tonkaaaa’ Talbot, the 888poker ambassador, and regular poker streamer. Proudfoot knew Talbot, not personally, but he played against him in all of those ‘bad reg’ years. Watching Talbot on Twitch helped Proudfoot snap himself back to a mode of critical thinking that was successful for him at the start of his career. That would include a major online title on the very site Talbot represents. Throughout the end of 2017 and into 2018, Proudfoot found results, including breaking to the worldwide top 100 for the first time. As he was ascending the rankings, the “under the radar” pro searched for and finally found a signature win. In May 2018, Proudfoot defeated the field of 855 players in the 888poker XL Inferno Main Event for career-high cash of over $209,000. He recalls how his big hands held up in timely spots helping him earn the victory. 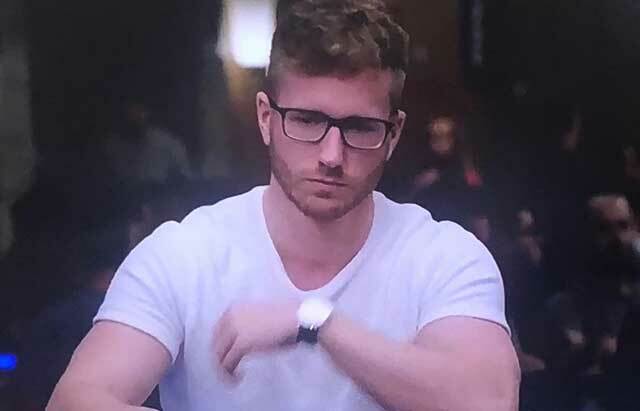 Since May, Proudfoot’s heater has continued helping him rise in the rankings and putting him just shy of $2.5 million in lifetime tournament earnings. He finally broke into the top 10 and hit a career-high ranking of #5 making him one of the most successful online tournament players of the past year. For Proudfoot, the rankings aren’t everything but he enjoys keeping an eye on them. Even though Proudfoot is currently still sitting in the top 10 and a regular in the toughest tournaments online, he’s still up for the challenge of getting better and playing even higher. With all of his ups and downs in poker over the past decade, Proudfoot remains that lone wolf in poker. He says he still doesn’t know anyone in the UK poker scene and still doesn’t share hand histories with anyone. Proudfoot simply puts in volume whenever he wants, so he can do whatever he wants. Johnny Proudfoot is currently ranked #6 in the world.